The soft florals and textural chiffon on this top channel a nostalgic mood for the season. The soft florals and textural chiffon on this top channel a nostalgic mood for the season. 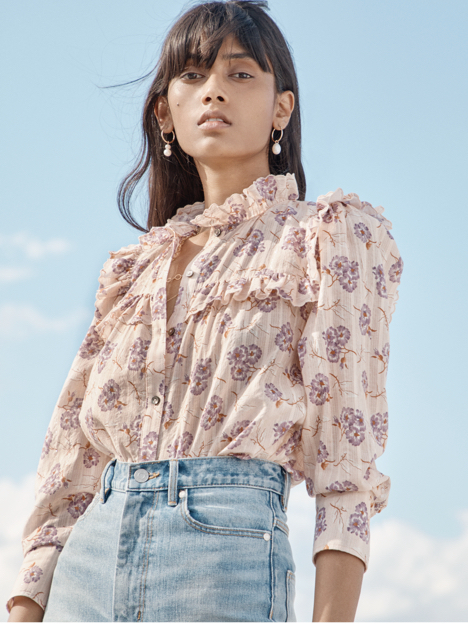 Delicate details include sheer, smocked sleeves and a ruffled V-neckline that can be worn open or buttoned into a keyhole.